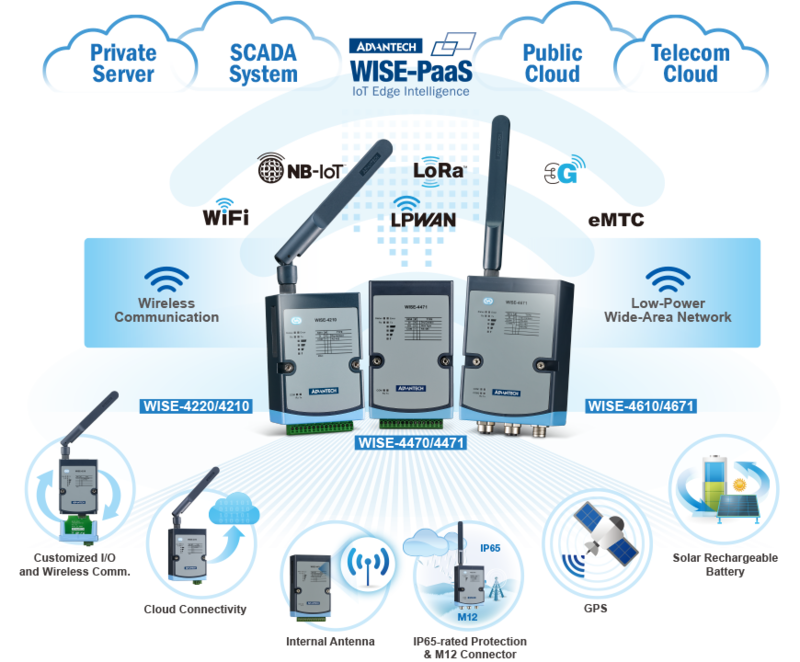 Advantech’s WISE-4000 wireless I/O modules leverage Wireless Ethernet and Low-Power Wide-Area Network (LPWAN) technology to provide sensor-integrated nodes, IP65-rated nodes, and solar-rechargeable nodes. 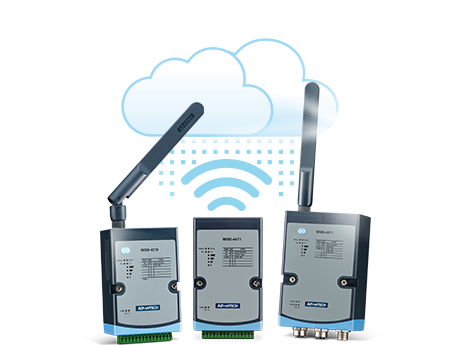 These wireless I/O modules are equipped with data collection, wireless transmission, and power supply features aimed at industrial and outdoor applications. 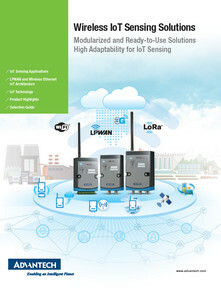 Moreover, to ensure simple and cost-effective vertical IoT applications, Advantech’s WISE-4000 series products offer high connectivity for diverse cloud platforms. 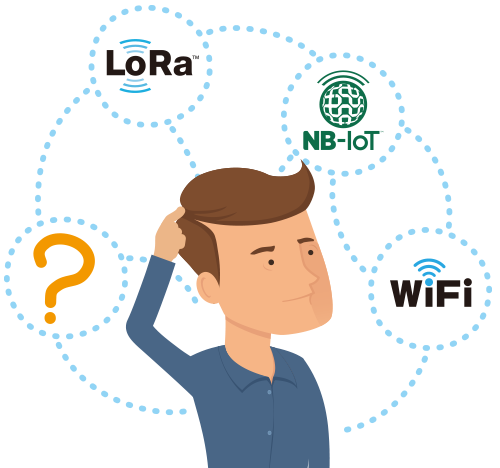 Wireless Ethernet is the simplest interface for IoT applications. It can be easily integrated with existing data or web servers.  WISE-4220 supports Wi-Fi for organizing wireless networks with access points that can be extended to wide-area networks by a cellular router.  What's more, WISE-4470 directly support cellular interface for distributed data acquisition. 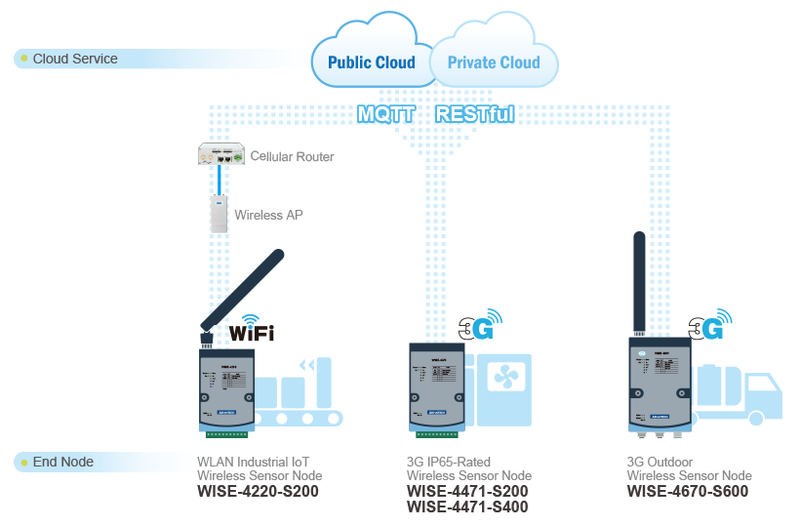 With MQTT and RESTful web service, WISE-4000 series is able to connect to a cloud service without the need for an individual IP address. 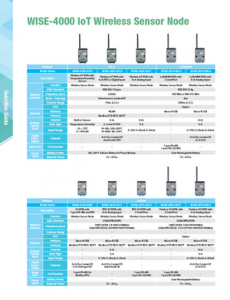 LPWAN technology is suitable for applications requiring low-volume, long-range data transmission while maintaining a long battery life, minimal cost, and low levels of interference. 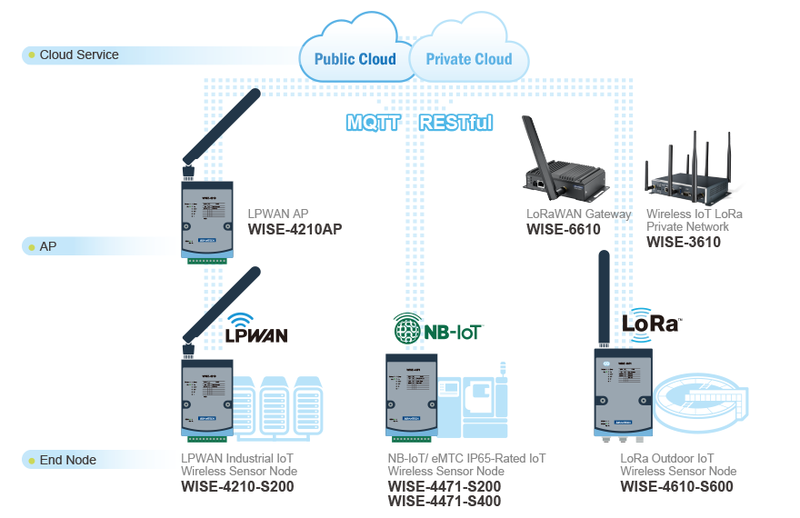 The WISE-4000 series provides proprietary LPWAN, LoRa/LoRaWAN and NB-IoT/eMTC devices to meet different long-range sensing requirements.  For the WISE-4210, and WISE-4610 end nodes, Advantech also provides LPWAN access points or LoRa/LoRaWAN gateways, enabling users can easily build up an private or public network.